I recently bought Joshua a new quilt for his bed and have been waiting on this final piece to complete the look. 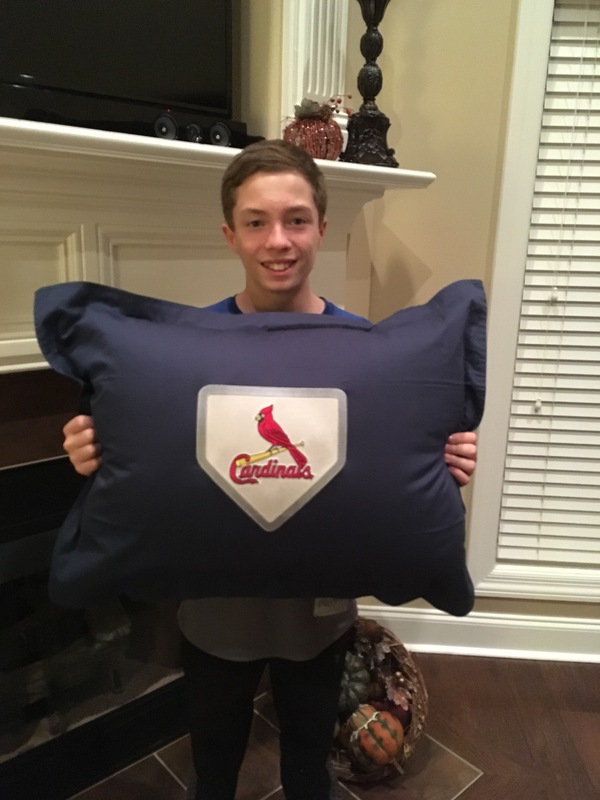 He loves the Cardinals pillow! It was worth the wait.